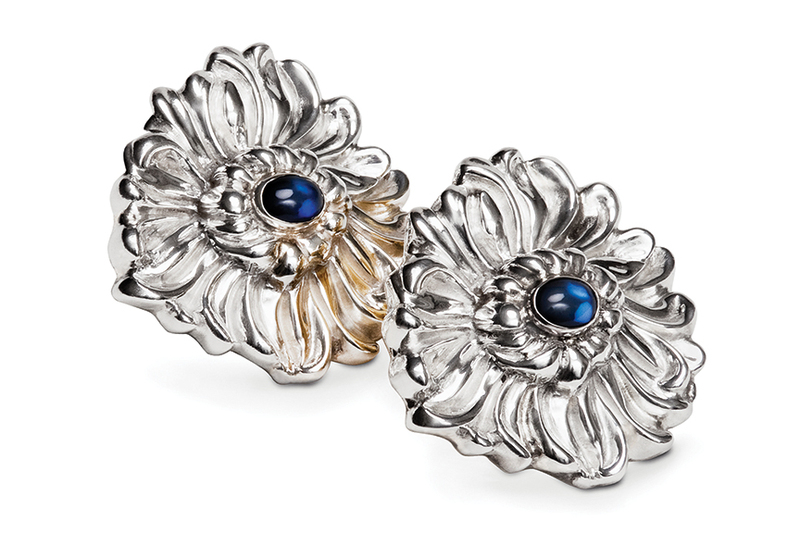 A flurry of mum petals in luxury sterling, surrounding cabochon sapphires. Imagine with a low ponytail, a classic white blouse and perfectly tailored trousers. Pair with the Chrysanthemum Ring if you’re confident enough!